Mixed ability grouping in education. This updated edition presents a practical introduction to differentiation and explains how to differentiate instruction in a wide range of settings to provide variety and challenge. Chapters focus on evaluation in a differentiated classroom and how to manage both behavior and work tasks. The book includes connections to Common Core State Standards. Digital content includes a PowerPoint presentation for professional development, customizable forms from the book, and curriculum maps, workcards, and matrix plans. 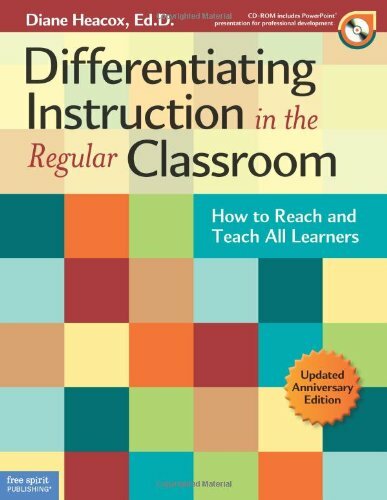 About: This updated edition presents a practical introduction to differentiation and explains how to differentiate instruction in a wide range of settings to provide variety and challenge.